A generation of aspiring business managers has been taught to see a world of difference as a world of opportunity. In Making Global MBAs, Andrew Orta examines the culture of contemporary business education, and the ways MBA programs participate in the production of global capitalism through the education of the business subjects who will be managing it. Based on extensive field research in several leading US business schools, this groundbreaking ethnography exposes what the culture of MBA training says about contemporary understandings of capitalism in the context of globalization. Orta details the rituals of MBA life and the ways MBA curricula cultivate both habits of fast-paced technical competence and “softer” qualities and talents thought to be essential to unlocking the value of international cultural difference while managing its risks. 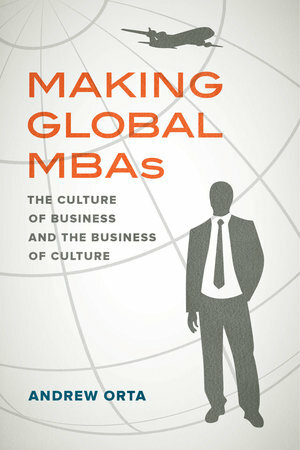 Making Global MBAs provides an essential critique of neoliberal thinking for students and professionals in a wide variety of fields.